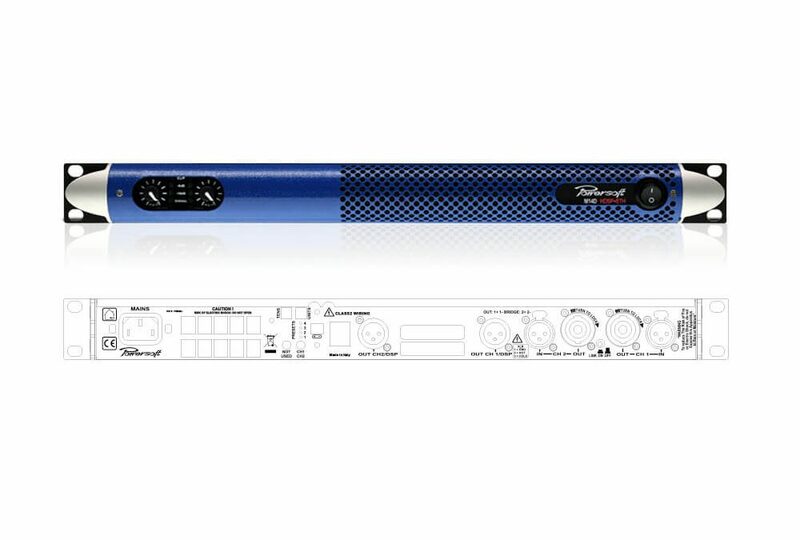 Where not high output power or channel count but a dependable amplifier is required, the M14D is the right tool. Built on the same technologies as Powersoft?s prominent touring amplifiers, the M14D comes to play in smaller quality sound systems. The M14D HDSP+ETH version provides on-board DSP and Ethernet interfaces. Locally, the M14D HDSP+ETH lets the user access up to four presets per pushbutton on the rear panel.